If you are a diva who loves to turn heads wherever you go and this flaunt cream - pink colored lehenga kameez. 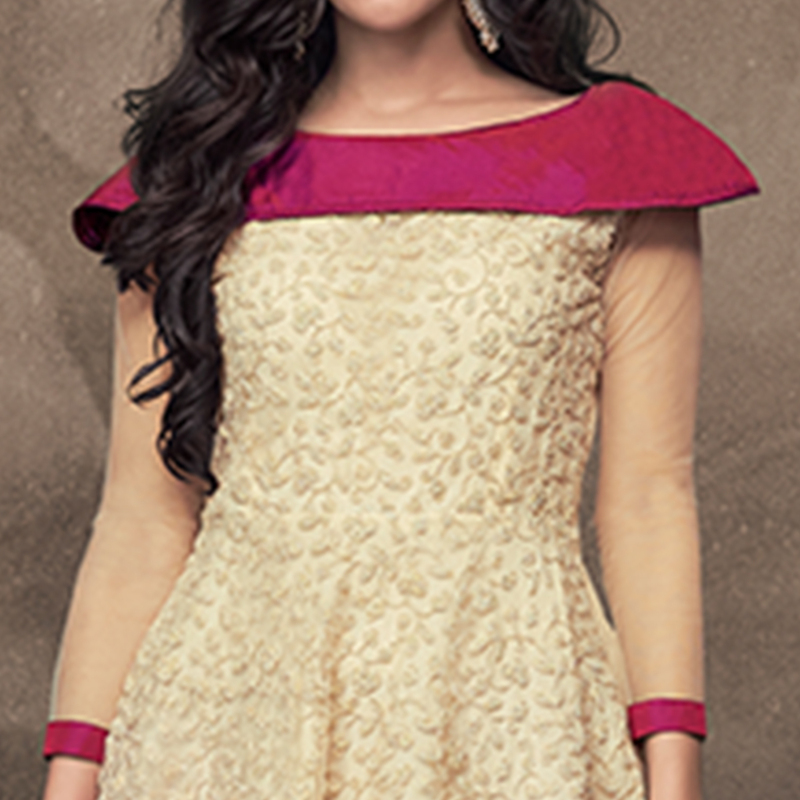 This stitched kameez is beautified with heavy embroidery on heavy net fabric. 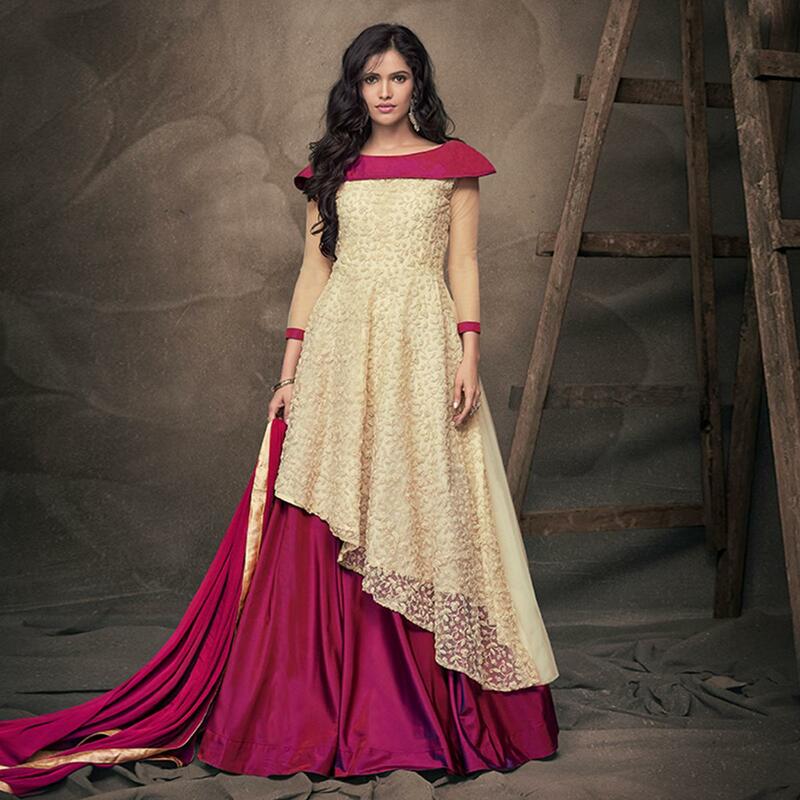 Comes along with soft tapeta silk bottom with lining and chiffon dupatta that gives a flawless look. Specially designed to wear for wedding functions, receptions, engagement ceremony and family occasions, where you want to be center of attraction. Team this suit with classy accessories and high heels for a complete look. Grab this dress before someone else gets it and wear it.